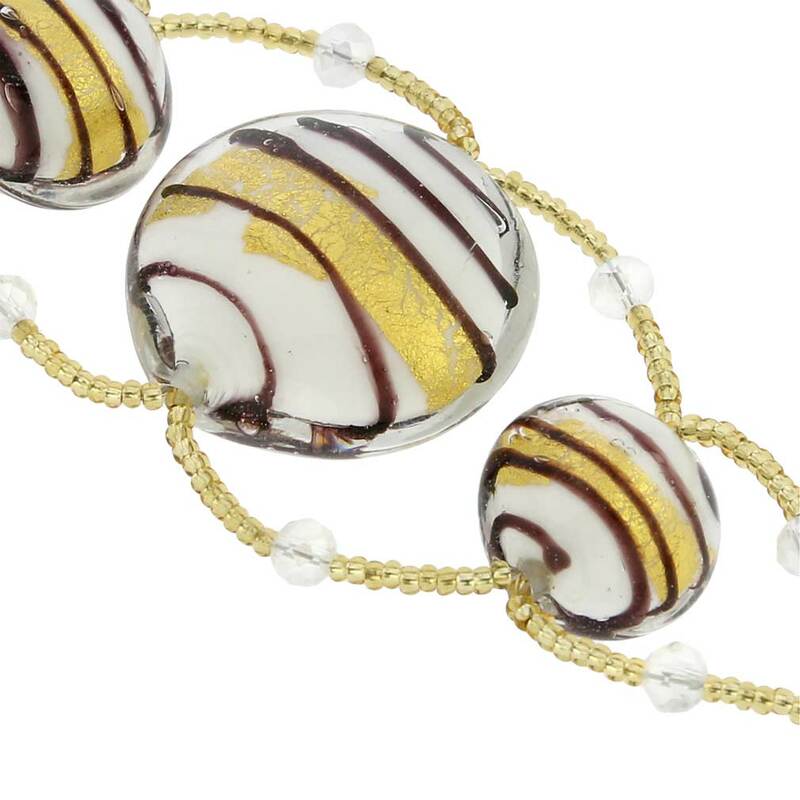 This Murano glass bracelet continues the venerable tradition of Murano Art Glass that goes centuries back to the times of almighty Venetian Empire. 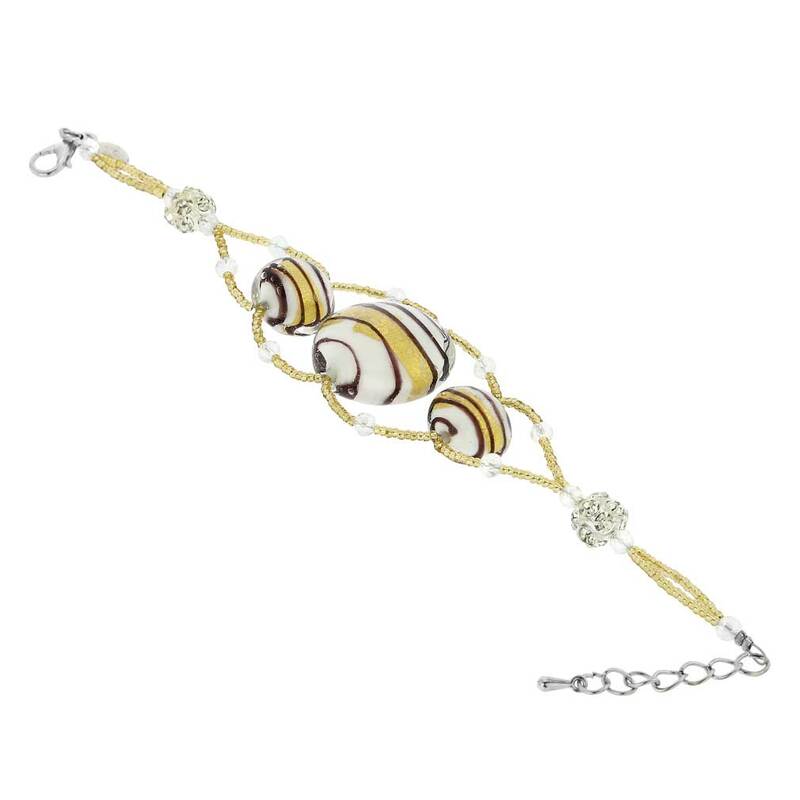 Using the lampworking technique where glass is melted under torchlight and beads are shaped and decorated by hand, the glass masters created this unique bracelet that reflects the glamour of Venice and represents every stylish woman's dream. 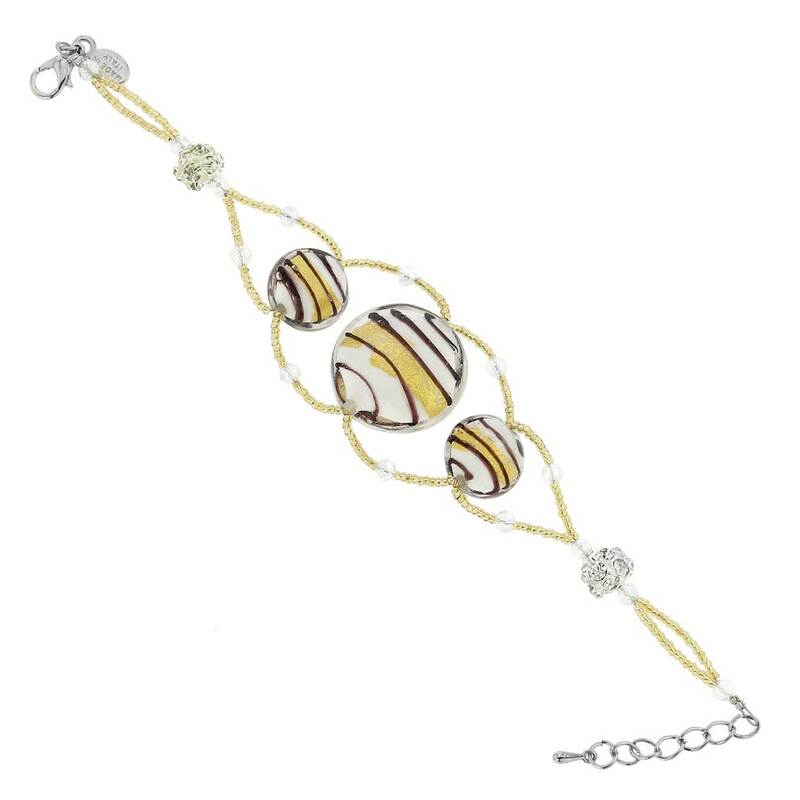 Measurements: The bracelet measures 6 1/2 inches in length and has elegant extender chain that extends it up to 8 inches. 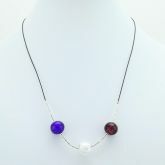 The large center bead is saucer-shaped and measures 7/8 inch in diameter. The smaller beads are about 1/2 inch in diameter. Because each Murano Glass piece is a unique work of art made by hand, some variations of colors and patterns are possible.